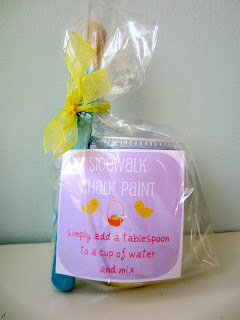 I am participating in Becky's Handmade Easter Basket Swap over at Belle + Bee. We were all supposed to make a little something handmade for the group to put in our kids' Easter Baskets. There were eleven kids in the swap, so it was just supposed to be something little. I finally decided to go with a pack of sidewalk chalk paint. Here is the link to the printable, if you would like to make some of your own. Not too messy, as long as you do not introduce moisture to the set up! 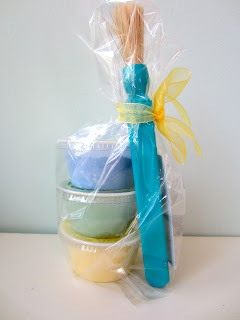 I wrapped them up with a chubby paintbrush in a cello bag. 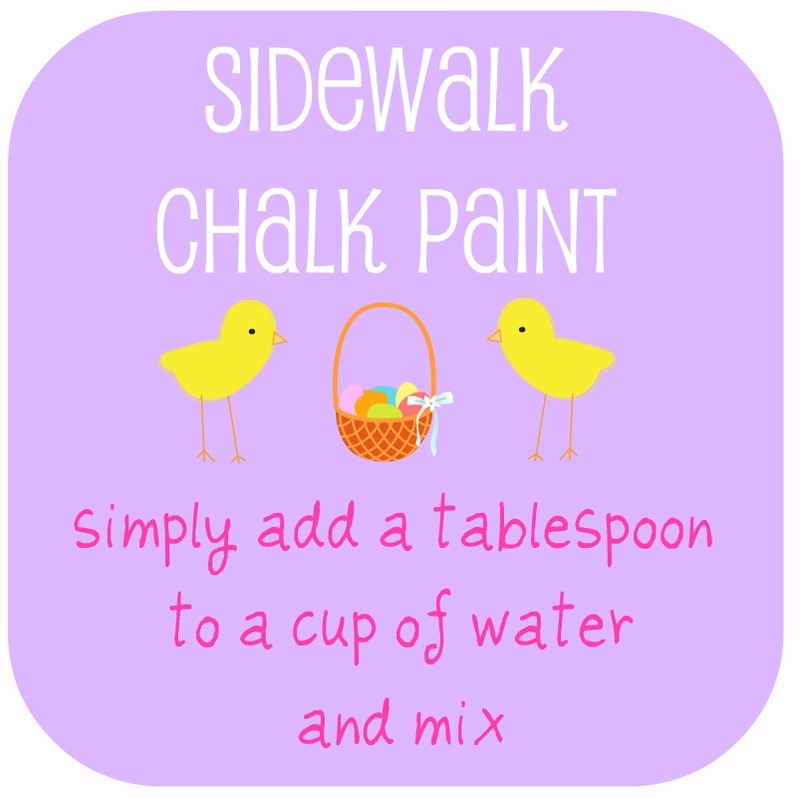 Hope everyone enjoys & I hope you make some sidewalk chalk paint. It really is fun to use! How cute is that!!!! Where did you find the paint brushes? Love it! So cute Courtney! Does the paint wash right out of clothes and off the sidewalk? Cute idea, Court! I'm going to try it with the kids! hi courtney, we just received your package for the handmade easter swap in the mail and the girls were so excited. love the way you packaged everything! thanks! Thanks for sharing this great kid's idea. 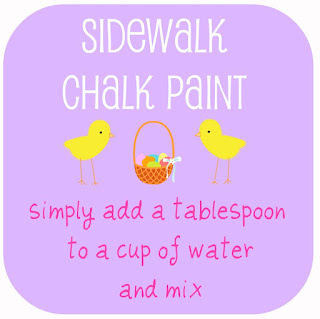 I think I will be a big hit with my grand daughter when I go to visit and we make and use your sidewalk paint. 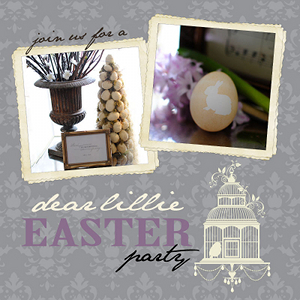 I saw your post over at "Dear Lillie" Easter party. This is such a fabulous idea! Happy Easter! Thanks so much! We got our package-it looks great! I am excited to have the kids try it! Great idea!